Brine used for anti-icing in the pretreatment process is becoming all the RAGE! Municipalities have tested the process of applying brine to roadways and critical areas before the storm for years, and have adopted this technique across the country. One thing is certain – if you can prevent the bonding of the ice and snow to the pavement, you will have a cleaner surface after you plow. This is where the Liquid Rage can give you the advantage over the competition. Use your existing skid steer or tractor to apply your brine to the critical areas of your sites before, during, or after the storm! Liquids - Why Should I Use Liquids (Brine)? 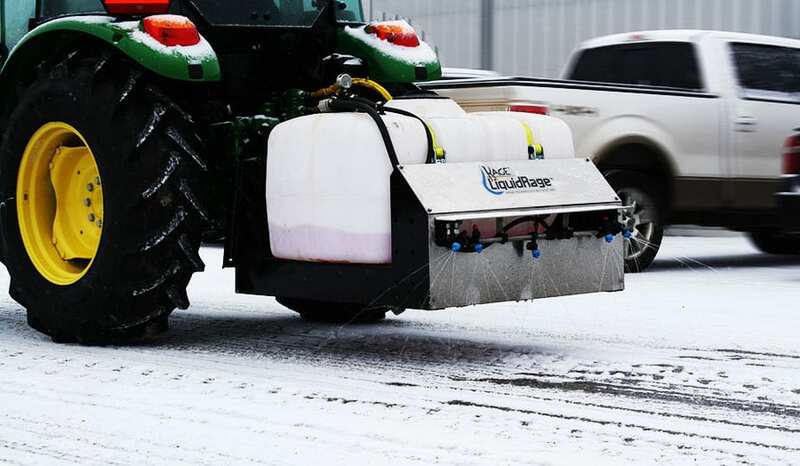 Liquid anti-icing is becoming more popular as rock salt shortages and regulations increase. 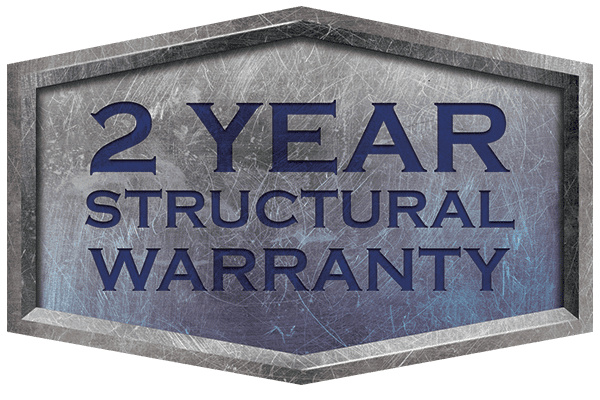 There are many advantages to pre-treating your sites with brine, and these are the most popular. Corrosion inhibitors and tracking inside of buildings is our personal favorite! The “universal skid-steer plate” just took on a whole new meaning! 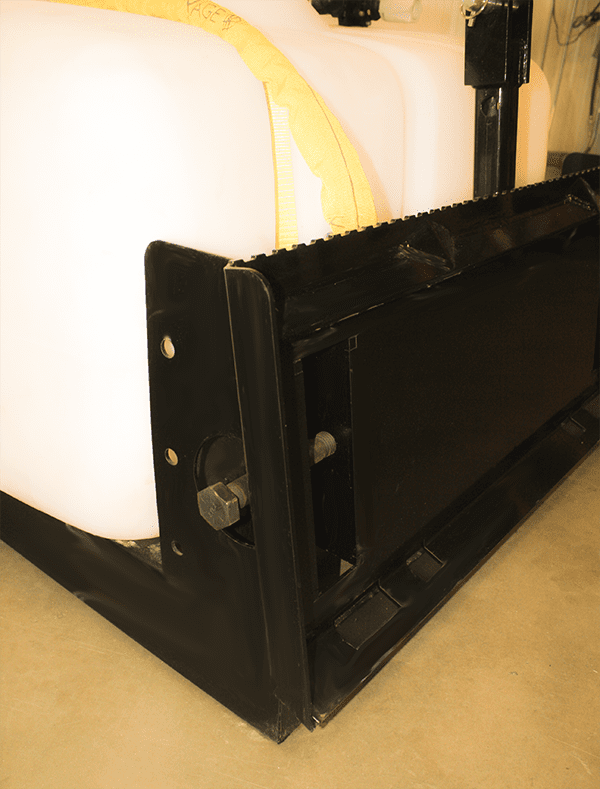 Now with a simple modification to the age-old skid steer plate, you are able to attach the same implement to your tractor. No need for any adapter plate, just switch and go! Control the rate at which you are applying the brine. This pressure adjustment gives you an even spread for your desired rate of travel, and application width. This also enables you to adjust to various tool carriers with different hydraulic flow rates. The 5 seperate spray nozzles are adjustable so that you can increase or decrease your application width on the fly. 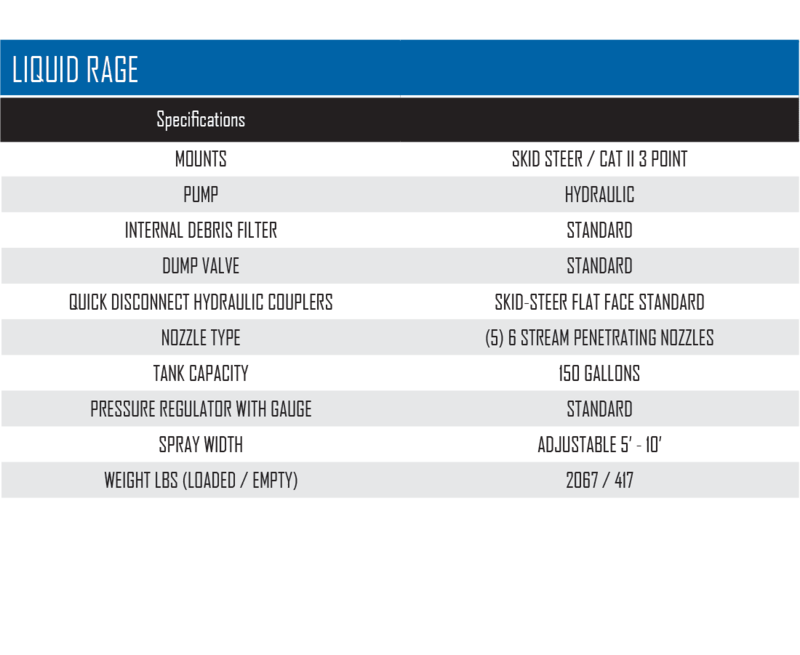 We’ve even included check valves so that they don’t weep and drain all over after you’ve shut them off! The 6 stream spray pattern of each nozzle provides penetrating force to get through layers of snow pack. All of your nozzles are protected from damage by the stainless steel flange they are mounted to. 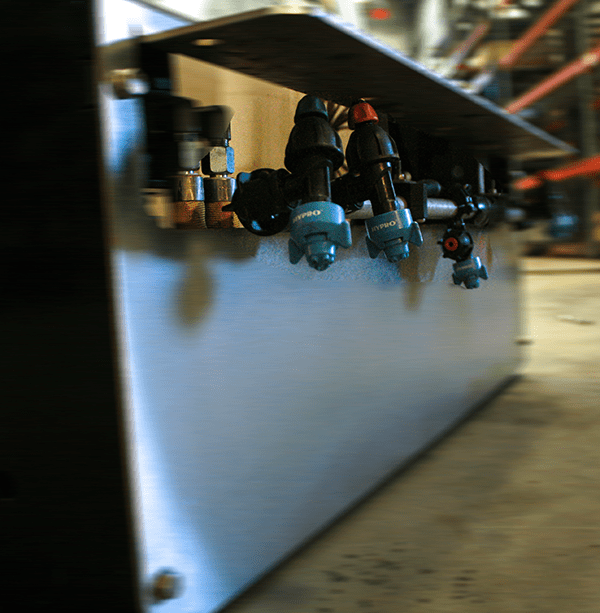 The Liquid Rage is powered by the hydraulic auxiliary of the tool carrier it is hooked up to. Operation is simple. 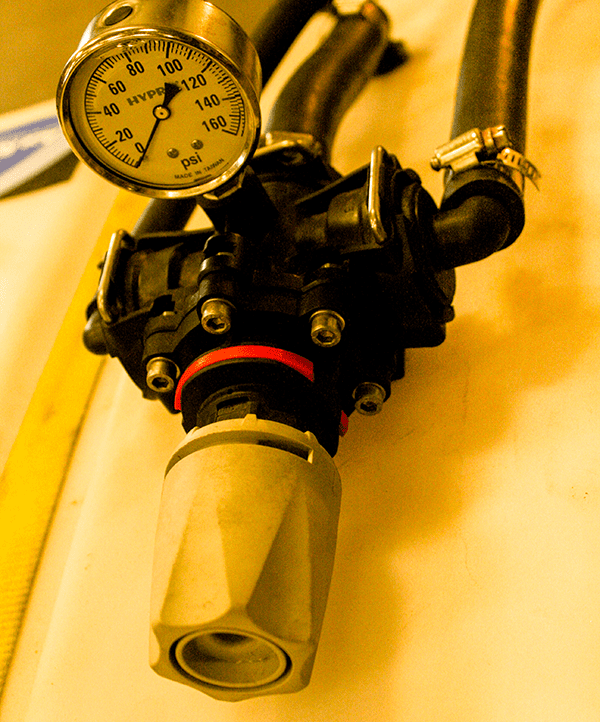 Activate the hydraulic auxiliary from your machine, and watch the pressure gauge increase while the nozzles spray! 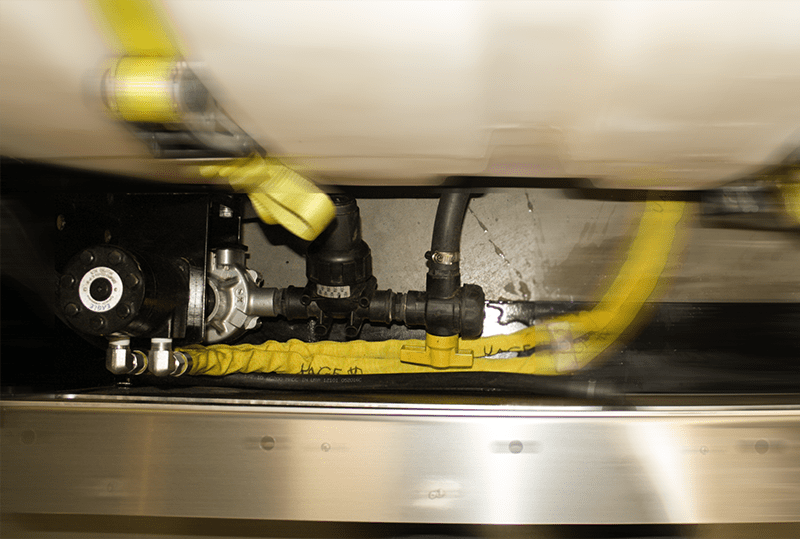 A heavy duty hydraulic motor powers the liquid pump, drawing the material from the bottom of the tank and through a filter. 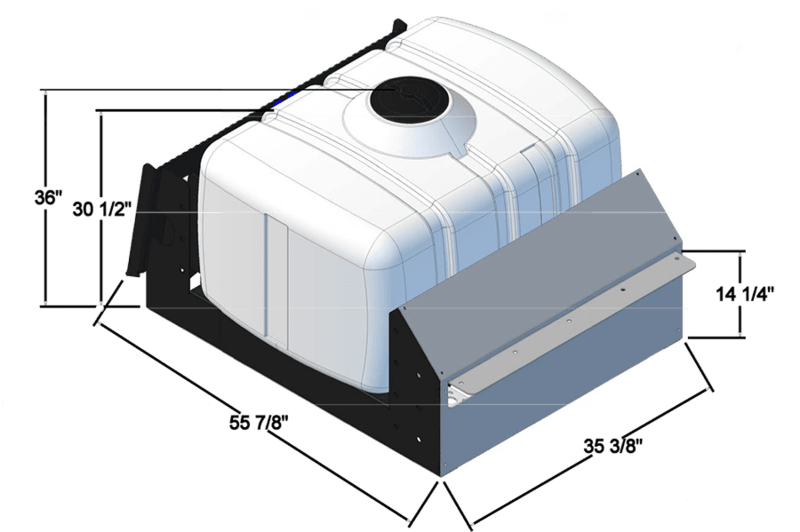 A built in dump valve gives you and easy way to drain the tank completely.